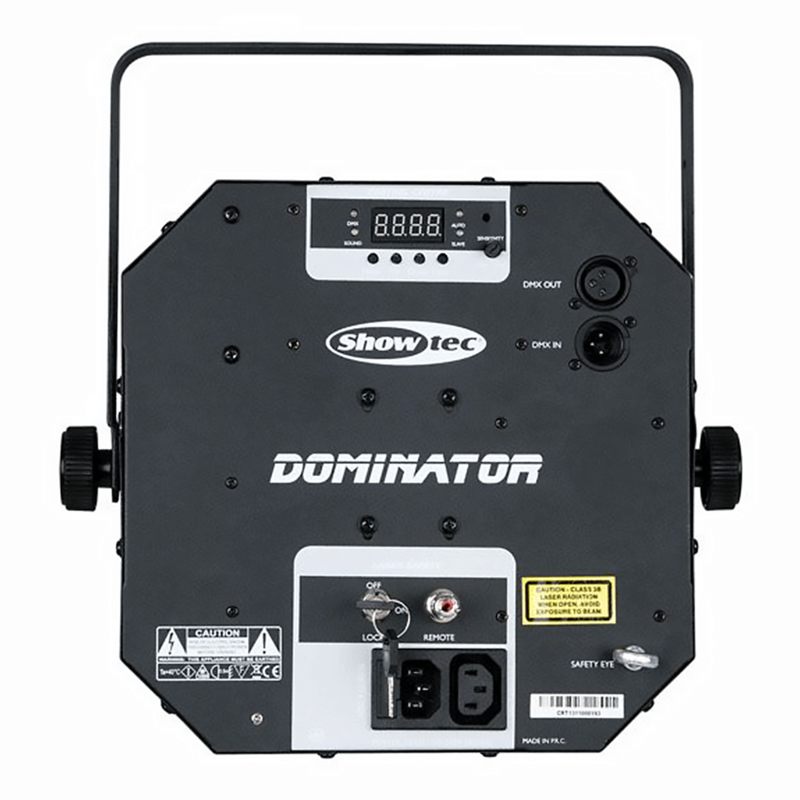 The Showtec Dominator is a 3-in-1 light effect that combines 8 powerful white strobe LEDs, a 200mW RG laser module and 3Watt RGBWA LED effect. All 3 effects can be selected separately in auto or music controlled programs. It can also be controlled by DMX to give you full control of all features. 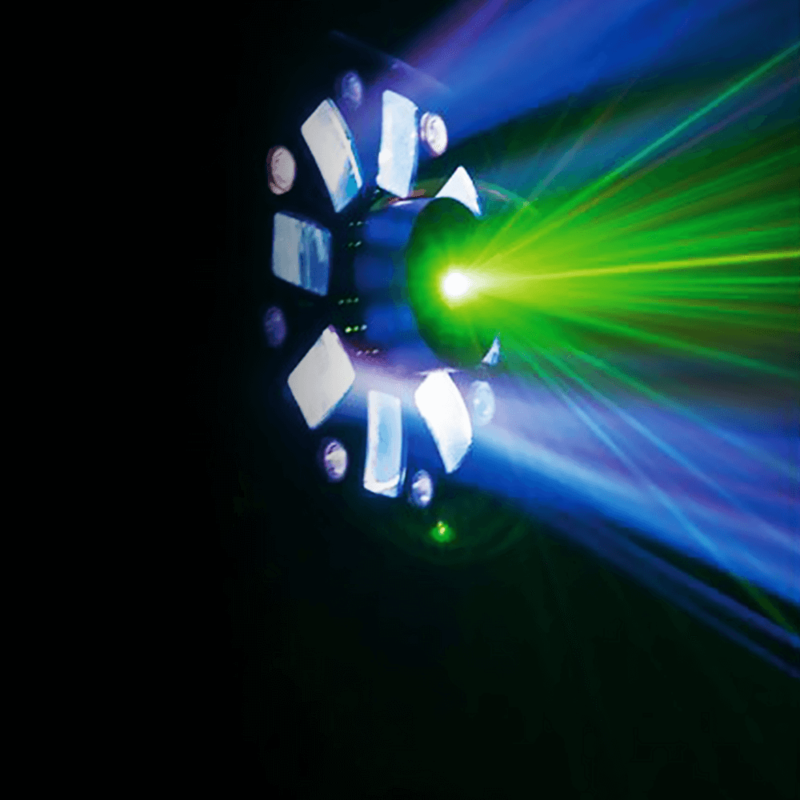 The strobe has 8 sections with different preprogrammed patterns. All RGBWA colours can be selected individually or in many preprogrammed combinations. 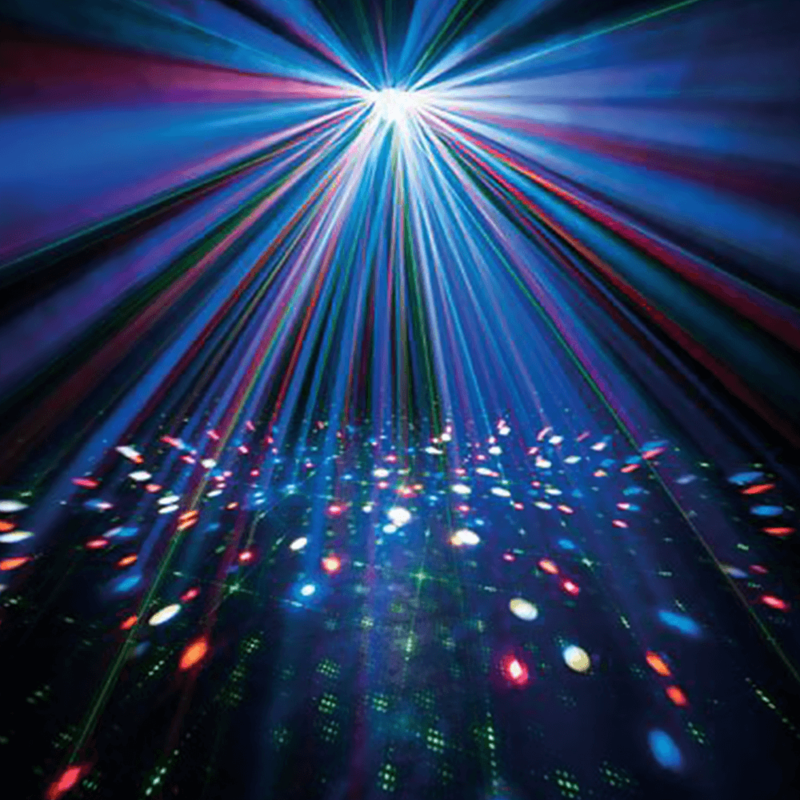 If you have multiple Dominators the master/slave function can be used to create a synchronized light show. 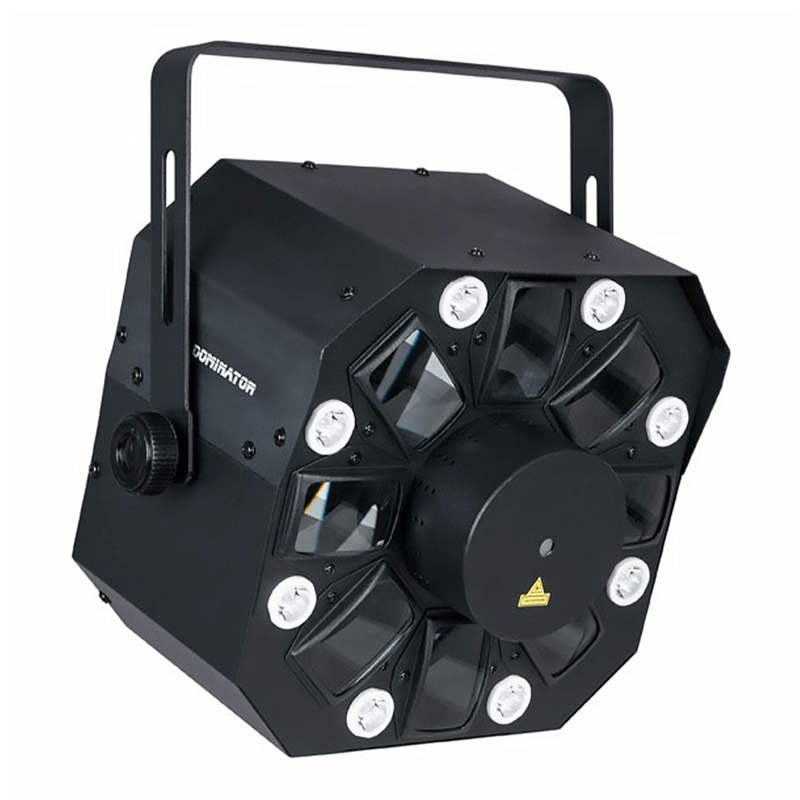 If you need one solution to get a Strobe, a Laser and a colourful LED light effect with full control of all features, the Showtec Dominator is what you are looking for. Attention, the laser only works when the interlock connector is connected with a remote interlock (order code 51316). You can test if the laser works properly with the included test connector. If you use the laser in the public area's a remote interlock is necessary for safety regulations.